Did you know there’s a multi-day walk in the Auckland region? Well, now you do! The Aotea Track is a 25km, 3-day hike on Great Barrier Island. A mountainous island vastly covered in native forest and teaming with birdlife, Great Barrier Island can be explored to its fullest on the Aotea Track, which loops within the heart of the Great Barrier Forest. Other than Stewart Island at the bottom of New Zealand, you cannot experience a multi-day walk on an island like you can on the Aotea Track on Great Barrier Island. As for the hiking terrain on Great Barrier Island, it is a mountainous island, so expect some climbs amongst some very easy flat walks too. Bear in mind that there is plenty time to rest with the walks only taking 3-4 hours per day on the 3-day trip. The track is well-signposted, well-maintained and has a couple of scenic and comfortable backcountry huts for accommodation. All you need to bring is your hiking gear and a will to explore. First of all, you’ll need to get to and from Great Barrier Island – an experience in itself! 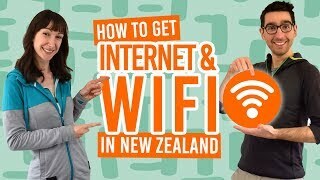 You can get there by either ferry (4h30mins) or plane (30mins) from Auckland. 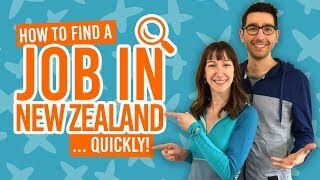 For more information about getting to Great Barrier, check out our Great Barrier Island Travel Guide. How are you getting to the track? There are shuttle services best booked in advance to take you to one of the Aotea Track’s entrances, hire a car, or walk to the beginning of the track (best done from Port FitzRoy). Then book into the Department of Conservation (DoC) huts. This is your accommodation for the Aotea Track. Read below for more details. An Aotea Track map (can get from DoC Visitor Centres in Auckland, the iSite and DoC campsites). The Kaiaraara Hut and Mt Heale Hut are two well-facilitated backcountry huts maintained by DoC. They are positioned on the Aotea Track so that you only need to walk 3-4 hours a day across three days (two nights). Unlike many of the DoC huts across New Zealand, there are a limited number of cups, plates and cooking pots to use in the huts, should you need them. 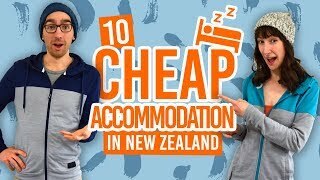 Plus, the fee is only NZ$15.30 per night, which it is advised you book online in advance. However, there are pay boxes to drop some cash in on the night of your stay. On the west side of the island, the Kairaara Hut is only 3km from Port FitzRoy, making it a good place to begin your hike if taking the ferry to/from Port FitzRoy. Nestled in the forest, it’s a great location to fall asleep to the sounds of the morepork (New Zealand’s native owl) and the kaka (a native parrot). The hut sleeps 24 in two bunk-style rooms, has three long-drop toilets, and a kitchen with stream tap water and a log burner – bring matches if you need to use it. The Mt Heale Hut couldn’t be more well-located with breathtaking views all over Great Barrier Island and across of Little Barrier Island. The hut’s decking is the perfect place to watch the sun go down. Mt Heale Hut sleeps 20 people across two bunk rooms and has a spacious kitchen with gas cooking facilities. There are two DoC campsites close to the Aotea Track entrances, Akapoua and The Green, should you need a place to camp before or after the hike. Plus, they are in pretty coastal locations! Find out more about camping in the Great Barrier Guide. If arriving on Great Barrier Island from Port FitzRoy, we recommend taking the Bridle Track and Warrens Creek Track (1 hour) to the Akapoua Campsite. This next section will take approximately 1 hour. From there, you can walk up Bay Road to the entrance of Forest Road where you take a picturesque gravel road with a shallow river crossing. You’ll reach the Kaiaraara Hut and the Aotea Track. If arriving from Whangaparapara Road (likely if arriving onto Great Barrier from Claris airport), take the Kaitoke Hot Springs Track, well-signposted off the road, which is an official part of the Aotea Track. Alternatively, start the Aotea Track further down Whangaparapara Road at the Tramline Track. This way you can end your hike with the hot pools – very rewarding after a long hike! Starting from the Kaitoke Hot Springs Track on Whangaparapara Road, this is a flat and easy walk along the wetlands and regenerating forest. Walk over boardwalks with plant life bursting to get through. This is just a taste of how “wild” Aotea Track gets. After about 45 minutes, you’ll reach the Kaitoke Hot Springs nestled among ferns and trees. Have a soak and mentally prepare yourself for the adventure ahead. You’ll then take some steps up to the Tramline Track North, with a number of information boards telling you about the logging history of the island. Now, get ready for steps as you climb your way up the Peach Tree Track. There’s one small stream crossing on the way up. The final section of the Peach Tree Track emerges on the mountain ridge full of mountain shrubbery and views across surrounding peaks. Take photos and enjoy the moment before that last little climb to the Mt Heale Hut. If that view from the Mt Heale Hut wasn’t enough, then you are about to capture stunning views from the highest point of the island, Mt Hobson (627m). Climb up an impressive case of wooden steps, or should we say an impressive amount, for about 30 minutes. Look out for the extremely rare black petrel during the months of October-May and vegetation like the Great Barrier daisies and blue mushrooms. Note: after a cyclone hit Great Barrier Island early 2015, the Kaiaraara Track has been closed. See the alternative route via South Fork Track below if the track is still closed. After reaching the summit of Mt Hobson, come back down the steps to the junction and take the Kaiaraara Track. There’s a mix of steps, steep paths and bridges on the descent down. The gradient finally evens off and you cross one more swingbridge on the final leg to the Kairaara Hut. This is an alternative route to the Kaiaraara Hut if the Kaiaraara Track is closed or if you are looking for a lesser-formed trail making things slightly more adventurous. Descend down some slightly steep gradients, cross a one-person swingbridge, then descend further down the track taking in the mountain views and birds flying over the forest canopy as you go. As you get further down to sea level the trees get higher as you are engulfed in forest once again. The final descent is particularly steep until you reach the rocky stream bed below. Now, look out for the orange poles and markers that lead you down stream, crossing over several times, before reemerging with a track again. Follow the remainder of the track until you reach a junction at Forest Road. Turn right and follow Forest Road for about 1km until you reach the Kaiaraara Hut. The final part of the epic journey is the easiest. No scrambles, no big climbs: just cruising. Walk along Forest Road, past the junction for the South Fork Track, and along the scenic gravel road. More of the wild forest is showcased especially along the Kauri Tree Route which is a small stand of Kauri trees. Enjoy views from the Maungapiko Lookout, as well as views of the western bays that you have yet to appreciate so far on the Aotea Track. Once you reach the Tramline Track, follow it to The Green campsite to set up camp if need be, or exit onto Whangaparapara Road. Follow the road to the left to return to the Kaitoke Hot Springs Track once again. Now be happy that you just bossed the Aotea Track! There’s nothing quite like being prepared! Make sure you read these articles so you don’t miss a trick or a thing on the Great Barrier Island.